Elliott Asp will play a lead role in CEI’s delivery of relevant, strategic programming to educators and system leaders in Colorado. His expertise in instruction and assessment will inform CEI’s work to increase the organization’s impact in accelerating improvement and innovation in Colorado’s schools and districts. Most recently, Elliott served as Senior Fellow, Policy and Practice at Achieve Inc. and was responsible for overseeing Achieve’s strategy for helping states develop, enact and sustain college-and career-ready policies and initiatives. 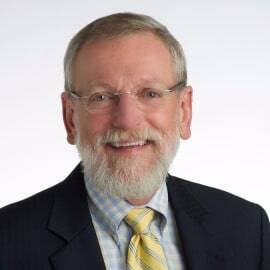 Before joining Achieve, Elliott served as both Interim Commissioner and Special Assistant to the Commissioner at the Colorado Department of Education. Elliott brings a wealth of education experience to CEI, stemming from a 40-year career of serving students,that began in the classroom, as teacher in traditional and alternative settings. He went on to serve as a curriculum developer, university professor, and administrator at school and district levels, and as assistant superintendent in Douglas County and Cherry Creek school districts, where he focused on curriculum, instruction, assessment and accountability.